A few years back, ophthalmologists diagnosed Niki Bayat’s father with glaucoma, a degenerative eye disease and leading cause of preventable blindness worldwide. 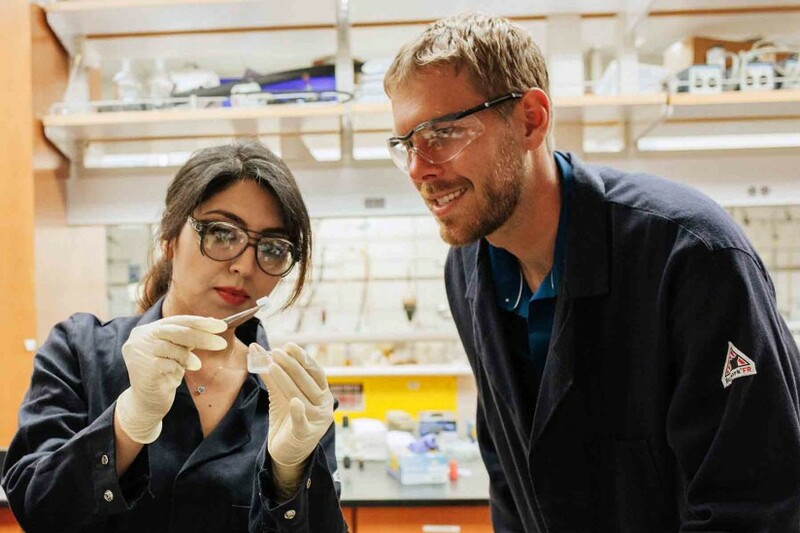 Bayat, a PhD student in chemical engineering at the USC Viterbi School of Engineering, watched helplessly as her father failed to take his drops three times daily as prescribed. Sometimes he forgot. Sometimes he had difficulty getting them into his eyes. Sometimes he only administered them once or twice a day because of the discomfort they caused. 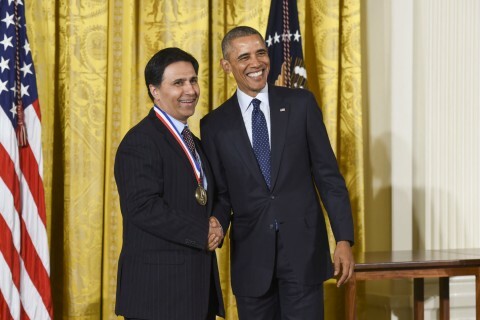 Bayat, whose research includes developing biomaterials to treat eye trauma, thought there had to be another way. So she decided to develop one. Bayat co-founded AesculaTech, a biomedical device company spun out of the research labs of Mark Thompson — her doctoral adviser, an expert in new materials for optoelectronics and co-inventer of the phosphorescent OLEDs now found in displays in mobile devices and televisions worldwide — and Mark Humayun — the developer of the Argus II, an artificial retina that restores sight to some blind people, with joint appointments at USC Viterbi and the Keck School of Medicine of USC. AesculaTech, named after the Greek god of healing or medicine, Asclepius, has developed an application for timed release of glaucoma medication over a 90-day period, reducing medical complications due to noncompliance or incorrect application. It’s very important to have this sustained delivery system. 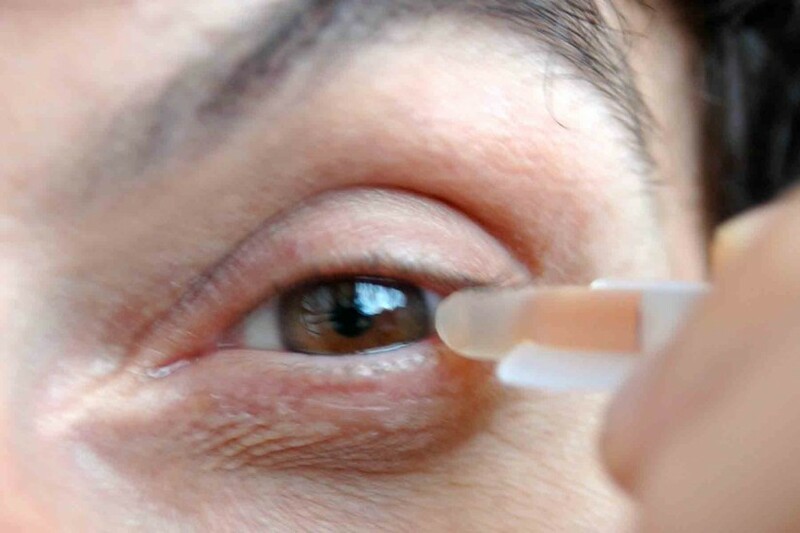 Ophthalmologists would inject AesculaGel, a thermally responsive hydrogel, into the tear ducts. There, the gel would harden and deliver glaucoma medicine at regular daily intervals. At the end of three months, doctors would give patients another injection, beginning the process anew. Although AesculaTech must successfully conduct lengthy FDA approval before it can come to market, the company has already generated interest. 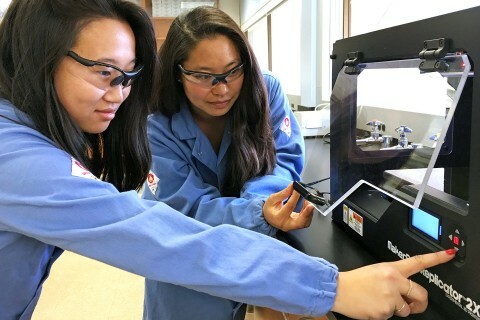 The Collegiate Inventors Competition, a national contest sponsored by the U.S. Patent and Trademark Office that honors innovative research and discovery, selected AesculaTech as one of this year’s graduate team finalists. In 2015, the company won second place among 148 participants in USC’s Lloyd Greif Center for Entrepreneurial Studies’ business plan competition. It also took home the silver last year in the Maseeh Entrepreneurship Prize Competition (MEPC), a business model contest. The MEPC helped AesculaTech evolve from an idea into a viable startup, Bayat said. Through the competition, she and co-founder Andrew Bartynski PhD ’16 developed a business plan and learned about customer acquisition and validation. Looking ahead, Bayat said she envisions modified AesculaGel being used to deliver drugs to patients with a variety of medical conditions beyond glaucoma. She declined to elaborate, Bayat said, for competitive reasons. 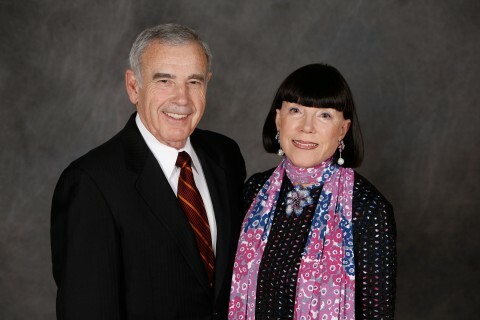 For now, she and Bartynski are happy just to make a contribution to improving medical care.